The arrival of 2019 aptly marks new beginnings for Event Exeter, the proud management team of the impressive event venues and accommodation of the University of Exeter. And, what better way to see in the New Year than with a brand new website and a revitalised logo? For the last six months, a task group have been eagerly working away behind the scenes to give Event Exeter the contemporary makeover that it deserves. In a fast-paced industry, we understand that there’s no time to stand still. For us the time was right to take our brand and in turn, our customer experience to the next level. Working closely with key customers and stake holders, we delved deep to get to the core of what matters most to our audiences. We listened, we learned and we acted. It was with great excitement that we commissioned local experts Optix Solutions, headed up by University of Exeter Alumnus Alastair Banks, not only to join us on our journey, but to guide us through the complexities of the digital world. Focussing both on a new website and the development of a strategy to enhance our digital footprint, the team at Optix have done their upmost to ensure that we are able to continually exceed the expectations of our customers. Behind every successful event lies a team of dedicated, experienced staff and Event Exeter are no exception to the rule. With over 30 years of experience, we take pride in building relationships and repeatedly exceeding customer expectations. 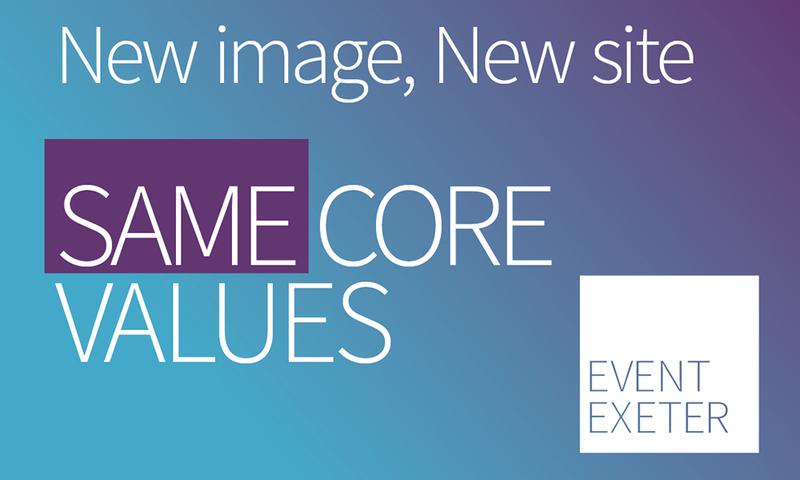 In this exciting new chapter these core values remain the same, but with continuous improvement at the heart of what we do, this enhancement of our brand and website will support our ethos of consistently delivering excellent customer experiences. Of course we don’t intend to rest on our laurels. Planning for phases two, three and four are already underway. One site certainly fits all but we know that there is always room to offer more. Alex Penn, Head of Event Sales at Event Exeter said, ‘The University of Exeter continues to go from strength to strength and it is crucial for this message to be replicated in our own website. But, for us this next step in our journey is about so much more than just our website. We understand that in order to continue to delight our customers, we need to evolve with them and enhance their digital experience. For that reason we won’t be stopping here. Watch this space as we enter into our next exciting phase of maturity’.